The first half of this year has been kind to us, as we’ve been recognized a few times for our work. We’re humbled to say we have also recently been chosen as one of America’s top 60 Remodelers in Customer Satisfaction. Customer Satisfaction is one of our top priorities, so receiving this recognition is beyond special. 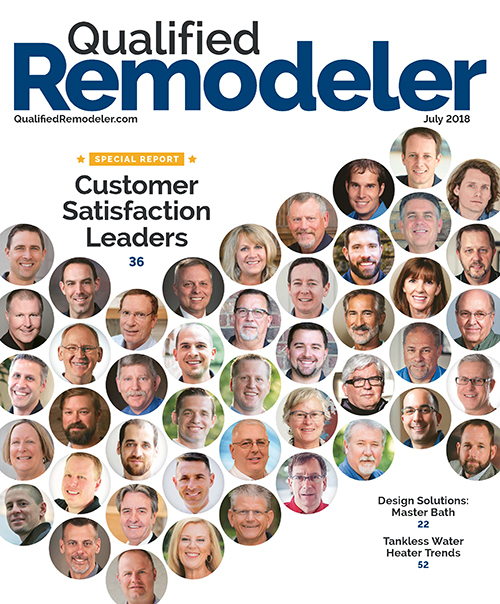 As an objective, third-party surveying solution, GuildQuality partners with Quality Remodeler to present this annual award, now in its fourth year. We’ve entered twice and have been chosen both times. This list measures customer satisfaction regarding specific projects on attributes ranging from trust, quality of workmanship, and value to budget, sales knowledge, and professionalism. The ratings are weighted based on project, so, for example, a kitchen remodel places higher value on cleanliness, while a window replacement job looks at price and speed as more important qualities. Karlovec & Company enjoys a 99.17% GQ all-time recommend rate, meaning nearly 100% of the time, customers fully recommend us as a remodeling professional. We believe that history is the best indicator of future performance, so we do everything we can to satisfy our customers. This honor reflects that commitment. To read the Qualified Remodeler article, which includes some of the best practices top remodelers like Karlovec & Company use, click here.